Welcome to the Phoenix Natural Gas appliance brochure. 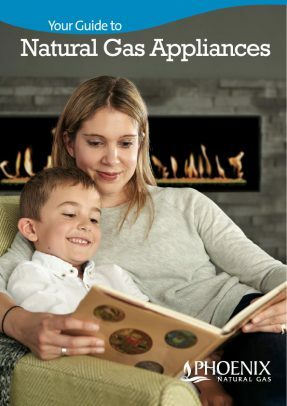 This brochure has been designed to help introduce you to the wide selection of natural gas appliances available locally. The range includes an exciting choice of highly efficient real flame fires, a selection of natural gas cookers and ranges that will make your kitchen the heart of your home, and the appliance that takes the pain out of doing the laundry – a natural gas tumble dryer.